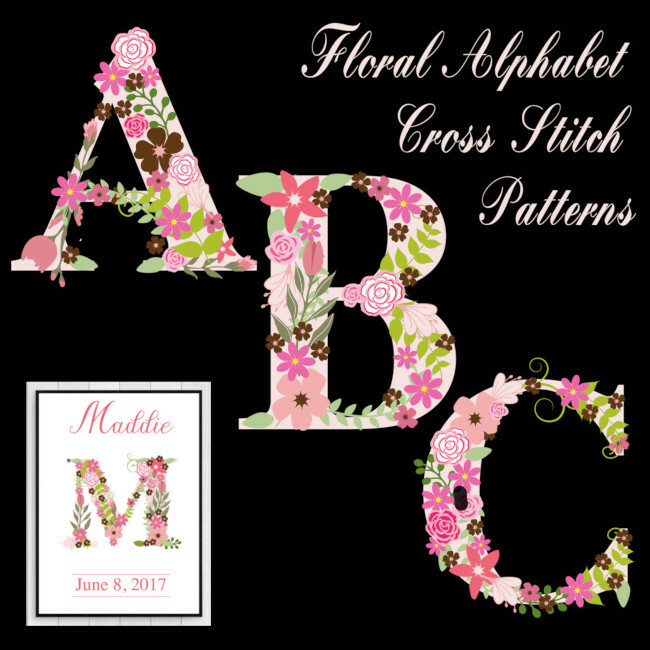 We have a new flower alphabet cross stitch pattern set in our shop. With the lovely ‘pink-ish’ background and the flowers and leaves in shade of pink and green, we think it makes a beautiful letter all by itself, or looks great in the simple sampler pictured below. These are not complicated patterns and we also suggest lots of other possible uses, such as on a dish, a tote bag, a pillow and more. These are definitely feminine goodies that most women will like and we invite you to start stitching right away with these floral patterns.